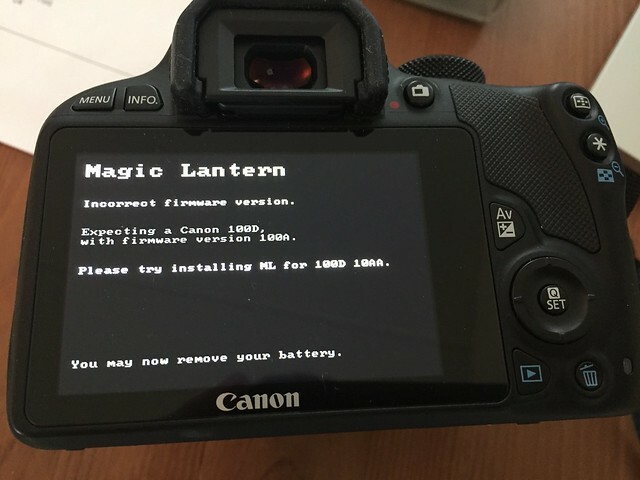 Is it possible to use ML on a Canon EOS M10? BeEn searching for some time. Thanks for any help. Short answer: No, you can not. 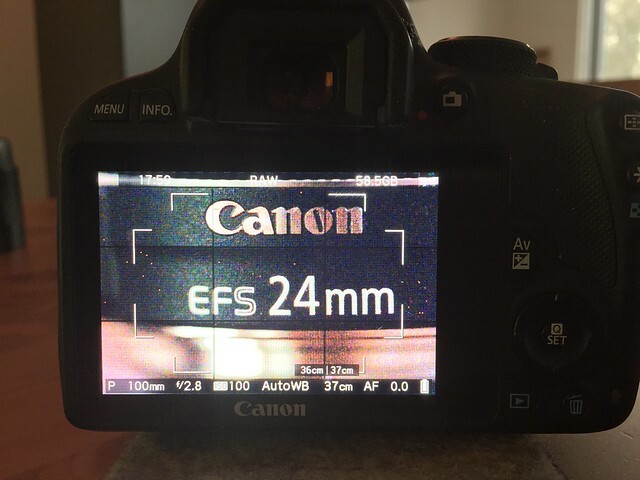 The M10 runs powershot firmware, not EOS firmware. The M1, M2 and M50 run an EOS firmware, the M3, M10, M5, M6 and M100 are all powershot based. The adapter changes the reported focal length and aperture, that needs a cpu and firmware. With lua and qemu, could the autobuilder generate those screenshots? I don't think the 'dng' branch has been merged yet, that has the needed code for saving that info. As pointed out above, these are powershot based, so not much use for magic lantern. 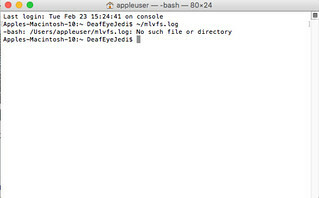 Try 'cat ~/mlvfs.log' to show the contents in the terminal window or 'open ~/mlvfs.log' to try opening it with the osx log reader. Or point Finder to your home directory, probably /Users/DeafEyeJedi.